Data Protection Policy – How your information is collected and used. First name, last name, email address, phone number, company name, and industry you work in. 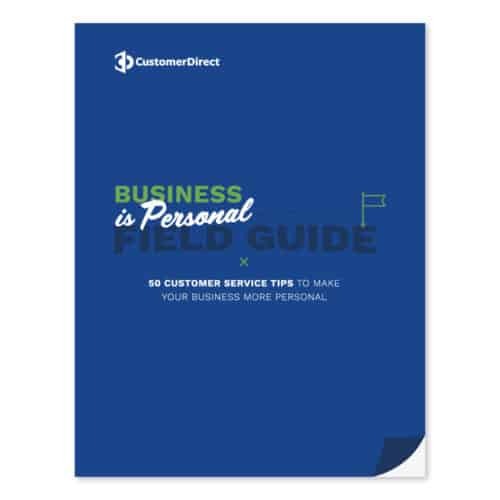 Customer Direct is collecting this information. Your information is being collected only when you opt in for resources that we provide. This information is being collected for our marketing purposes and so we can provide more targeting content relevant to your interests. Your information, when opting in for a resource, is input into our CRM and you may received marketing automation emails based on your industry. This information is only used by Customer Direct and our marketing partners at Brevity. What tracking pixels are used to target content? We use two different tracking pixels from the social platforms Facebook and LinkedIn. We utilize these so our ad placement on those platforms is better focused to serve ads to those who have visited our site. From time to time we will have content available that we promote on the homepage via a message bar at the top of the site. Or a small popup. If you choose to close these announcements. A cookie is stored in your browser that will display those announcement at a later on date depending on if you have clicked to not see those announcements. These cookies do not source any personal data from your browser settings. Softwares we use to help our company. Our CRM of choice and where resource data is stored. Occasionally we use to help us improve our user experience on our website.